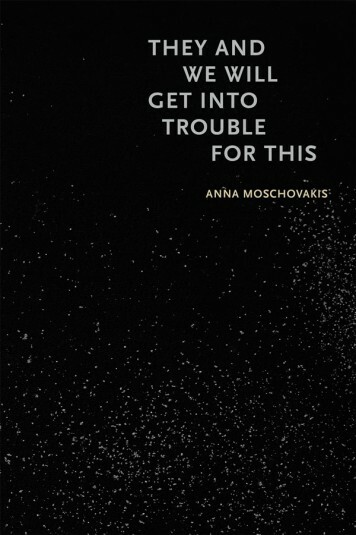 It begins, like so many stories, with a bad day: Fernando, a smalltime drug dealer in Austin, TX, gets shoved into the trunk of a car and taken for a spin by some pernicious folks who want to take over his boss’s turf. To show they’re serious, these fiends kill Nando’s friend by “sawing at his neck [with a knife] like it was nothing.” A bad day indeed. Of course, things get worse from there, and the only way for Fernando to right his life is to kill Indio, the leader of these encroaching goons. Trouble is that Indio isn’t precisely human. We talked a bit about this project, its genesis and realization. ENTROPY: How’d Zero Saints come about? Gabino Iglesias: I’ve always loved crime fiction, and a couple of years ago started writing it. However, I’ve always hated the limitations that most genres try to impose, so I decided to just write whatever the hell I wanted. As soon as I decided to write the book I wanted and not something I felt I could get published, the seven years I’ve spent being a brown man in Texas came out. I wanted to write about Otherness, la frontera, being away from home, and to tell a fictionalized version of some stuff I’ve been through and seen. Then the religious aspect sort of kicked in by itself as soon as I started scratching at my past for stuff to infuse the narrative with authenticity. All of it came together more or less coherently and the book was born. One of the notable stylistic features that other folks have mentioned is your use of Spanish, both in dialogue and in the narrative. There are phrases familiar to me, like “los cabrones” or “los blancos,” and then more extended sections as well. How’d you decide on the best mix of languages, diction, style in creating Nando’s voice? Spanish is my first language, English my second, and Spanglish is what stands in the interstitial space between the two. There wasn’t much to decide because I just wrote it the way I’d say it when talking to someone who also lives in that dividing line between both languages. Furthermore, I’ve also been paying attention to the way immigrants talk since I moved to the US. We tend to think that losing the accent or knowing how to express ourselves eloquently will help us fit in better. That, of course, is nonsense, but I still find it interesting and I think a lot of folks don’t realize how dumb it is. Once I started letting the Spanglish flow, it was liberating. Hope folks dig it because most of my books will be that way from now on. What was the editing process like, both on your lonesome and then working with J David Osborne at Broken River Books? I’m a very slow writer mainly because every time I sit down to write, I reread a good portion of what I previously wrote. That leads to a lot of editing and rewriting. Once it was in JDO’s hands, the weak things were made strong and the holes were filled. He’s a truly fantastic editor. We had some phone talks, a few emails, and a Skype session, and all of it was painless and part of the ongoing learning experience that is Zero Saints. Besides cutting a lot of the fat, we also managed to make it weirder and darker, and that’s something that proves that a great editor is crucial if you want your book to be the best book it can be. Austin’s a curious place in this book. On the one hand, there’s the popular image of hipsterdom, where “[t]he only thing people fear in this place is getting their tongues burned at their favorite coffee joint.” But then there’s this other angle too, Austin as a city that’s not as safe or as hip as it imagines itself to be. How’s that relate to your experiences living there? Every city has that dual nature. Austin is cool and hip and rich. It’s also dirty and racist and full of poor folks trying to stay alive. Every city has some of that. Your socioeconomic standing is what filters your experience. Those driving their luxury cars to the Austin Country Club get to see one aspect of the city. Those of us riding the bus everywhere get to see something different. My experience here has been a weird mix of academia, poverty, partying undergrads, homeless people, and everything in between. Also, being a journalist helps a lot. I’ve spent days visiting strip clubs, juke joints, tattoo shops, and bars while working on stories. When you’re writing about a place and its people, you pay more attention. Seeing Austin that way has also helped me see it more holistically. 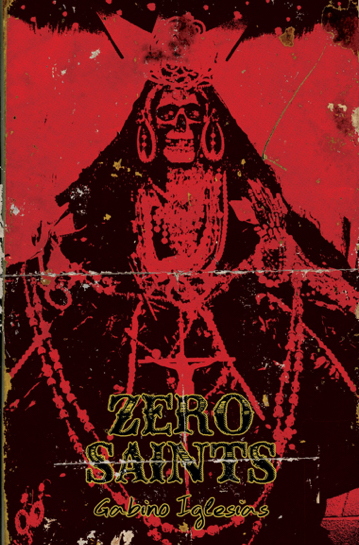 If there was one single song people ought to enjoy while reading Zero Saints, what is it? Man, I could do a whole playlist, but you want one. Okay, they should listen to Héctor Lavoe’s “Rompe Saraguey.” It states it clearly: “Con los santos no se juega.” You should play with saints. “La frontera” plays an important role in the imagination of the novel, with Nando stating at the beginning of Chapter 6, “What happens when you cross la frontera is that you leave a place to enter a void.” How were you thinking about “la frontera” and its role in the collective imagination(s) as you were writing this book? La frontera is one place and many places. For folks up north who never have to deal with it, it’s one thing. They construct it one way based on what they hear and read. For those near it, it’s something entirely different. Being closer is harder and makes the worst parts about it n everyday reality. Last but not least, those who cross it and those who know people who’ve crossed it understand that what happens is something that transcends leaving one country and entering another. I wanted to have this last one in the book, the real/complicated/dangerous one, because I know many people who have crossed it and can’t go back, or have to quit everything they have on this side if they want to go back. Final Question: You’ve got Hungry Darkness—a “deep sea thriller”—published earlier in 2015 and now Zero Saints. What can readers expect next? No idea. I’m at that point where I’m really trying to enjoy the fact that readers are digging Zero Saints but my head keeps going to “What’s next? What project are you gonna finish? Who’d be down for publishing that? Can you impress J David Osborne again or was this Broken River book a fluke? Will it be horror or crime or bizarro or all of that together? When will it come out? Are you going to finish 2016 without a book? Where’s my wallet?” All I can say is stay tuned. I’m cooking a few things and maybe y’all will like one of them.